The movie Racing Extinction draws attention to mankind’s role in the loss of at least half of the world’s species. Directed by Louie Psihoyos, an American scuba diver concerned with raising awareness to underwater life, the movie shows how commercialization of animal products has driven species such as the orcas (species that were nowhere near extinction 50 years ago) into near extinction. Many of these species will go into extinction regardless of human interference, but in the next decade alone, humans will drive out species to extinction ten times faster than normal. To document the extinction of these species, environmental activists Shawn Heinrichs and John Sartore and other scientists recorded the sounds and movements of animal species across the world. Because of commercialization, ocean acidification, and habit destruction; many of the species they had recorded are now extinct. Ocean acidification especially affects the phytoplankton. More than 40% of Phytoplankton, the organisms responsible for making at least half of the world’s oxygen supply, have died in the last 50 years because of increased acidity. The film also highlights the illegal market for shark fins in China. The activists in the film go undercover, disguising themselves as restaurant owners and managers to enter one of the biggest shark facilities on the planet. 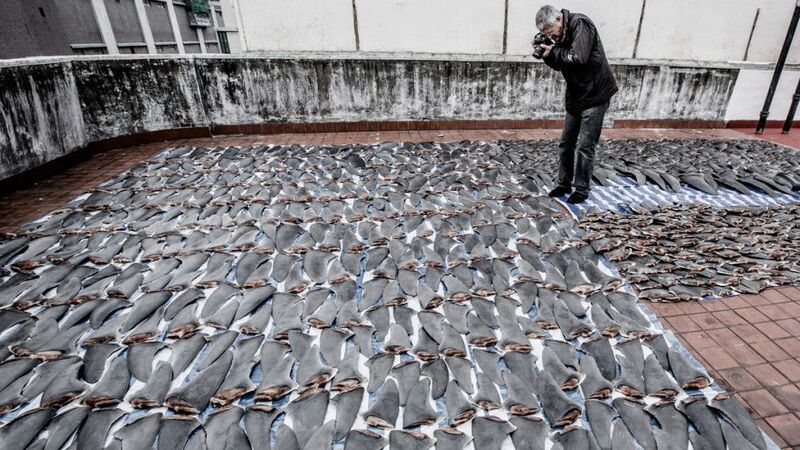 They had found that China alone, claims the lives of 1.3 to 2.7 million sharks every year. Aside from China, there was also commercial whaling in the United States, exemplified by restaurants that serve whale. To stop this whale exploitation, an environmental activist protested in front of the restaurant to stop it from serving whale. Within a week, the restaurant closed down. The most devastating moment in the film was a shark, with all of its fins cut off, sinking to the bottom of the ocean. The documentary reveals certain ways individuals can contribute to protecting the environment by providing ways for people to live more sustainably. “If every American skipped meat and cheese just one day a week for a year, it would be like taking 7.6 million cars off the road,” Psihoyos said. The film acknowledges that issues such as global warming, and species extinction are hard to solve but also advocates and inspires watchers to help tackle these issues. The movie inspires watchers to maintain hope and to make sure we don’t lose this race with the planet.